Jake Boyer and Maggie Mclivain at the Greater Youngstown Track Officials Association Banquet June 15, 2010. Scroll down to the John Marshall -- October 9, 2009 game. FROM A Supplement to the Review, August 26, 2010: In his first real duty ever at the QB spot, Thompkins threw for 801 yards and five TDs on 74-of- 46 passing with only six interceptions. He also rushed for another 555 yards and five TDs, averaging 5.1 yards per carry. 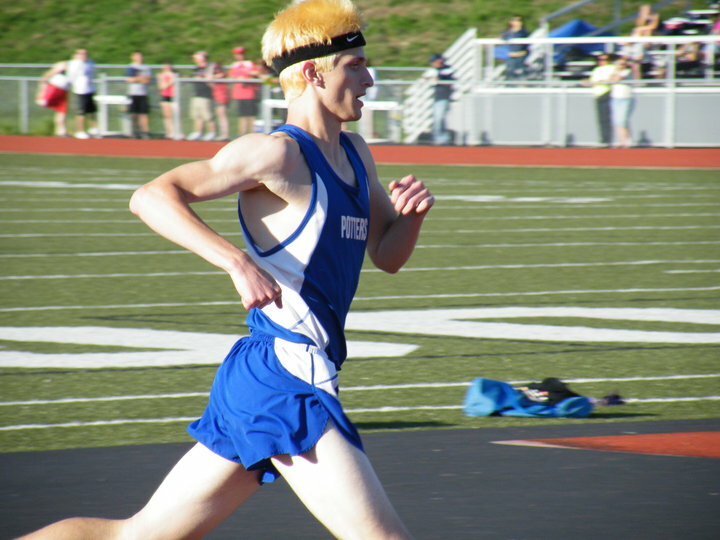 "He's only going to get better," [head coach] Asher said of the quarterback, whom he describes as a double threat, SOURCE: Excerpted from High School Football '10, Potters section by Jim Mackey, Review Sports Editor. A Supplement to the Review -- August 26, 2010. 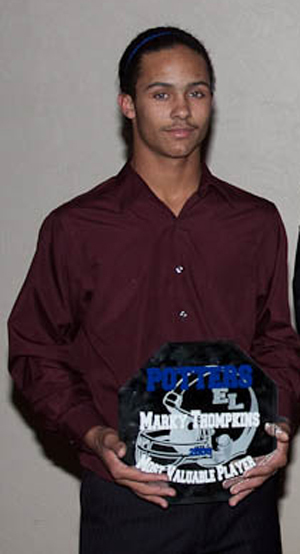 Sophomore Marky Thompkins was awarded the MVP award at the Annual Football Banquet for the 2009-10 ELHS football season. Marky Thompkins didn't just excel at football he did the same in basketball. Twice in the 2009-10 ELHS Basketball Season Marky came within a few points of tying or breaking the single game scoring record. In two different games he scored 40 points.